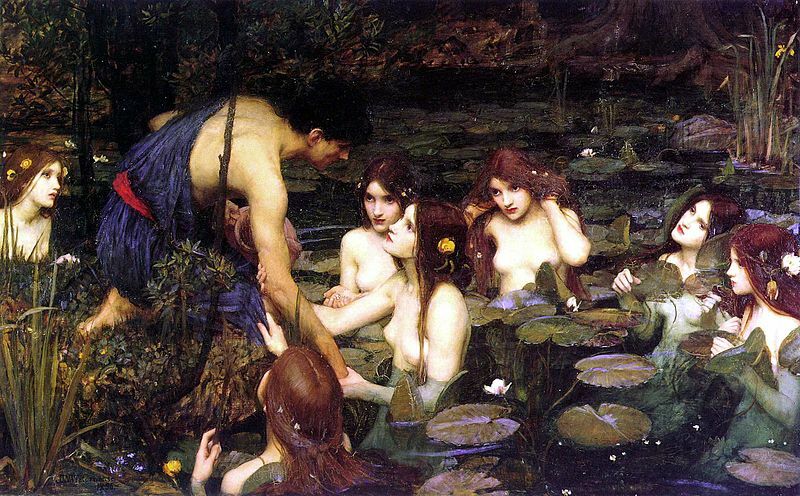 The oil on canvas composition referred to either as Hylas with a Nymph, or the Naiad, was painted by John William Waterhouse in 1893, and depicts an event from Greek mythology. 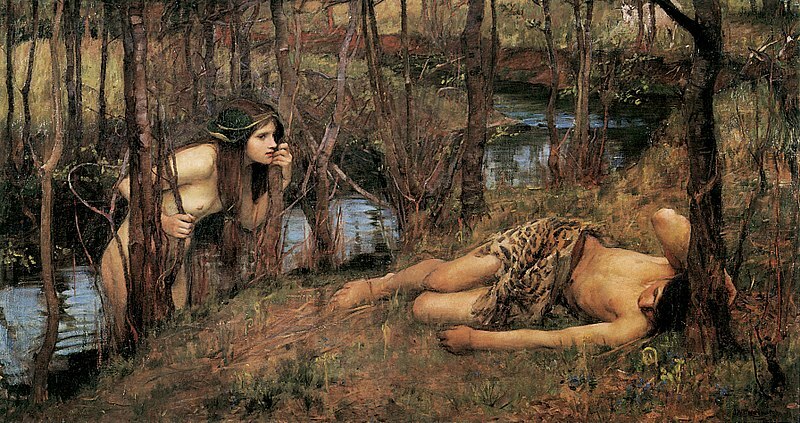 Hylas with a Nymph comprises two figures, the sleeping Hylas and a Naiad nymph. Hylas was an Argonaut, one of those heroes who joined with Jason upon the Argo on the quest to bring back the Golden Fleece from Colchis. 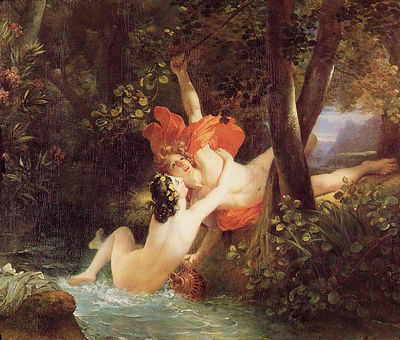 On the journey to Colchis, the Argo stopped for water in Mysia, and as Hylas fetched some water from a river, he was spotted by a nymph, or nymphs, who abducted the Greek hero. 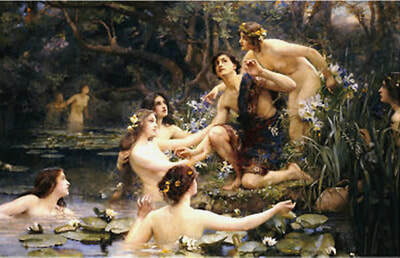 Though Hylas was searched for, no trace of him could be found and so as the Argo left Mysia, Hylas was left with the nymphs for evermore.